So instead of fixing the connection troubles that have been popping up this week, they decided to install a new and even more aggressive Internet filtering system. Thanks for nothing, Sophos. Anyone with a clue as to how to deal with it? 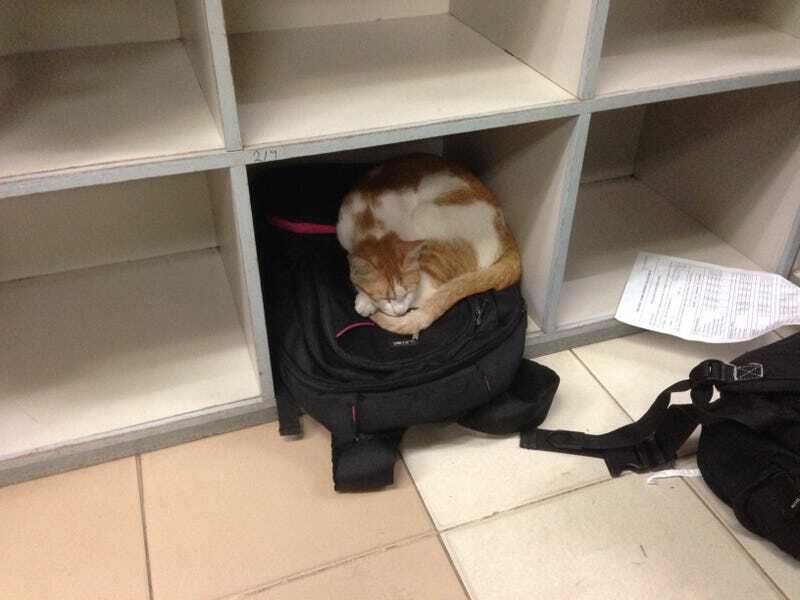 Have a pic of a cat sleeping on top of someone else's backpack for your troubles.